Pura-Vida means PURE LIFE. It’s used multiple ways in Costa Rica like hello and good-bye, but to many of us… it’s a feeling. 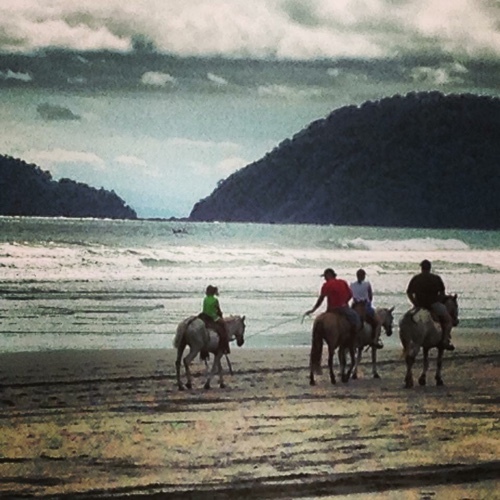 Some say Jaco has no “Pura-Vida;” that it is not the REAL Costa Rica, but I tend to disagree. For some reason there is a lot of bad press about Jaco. People will desperately try to talk you out of going, but Playa Jaco is by far my favorite beach in Costa Rica. While I understand that many travelers want to end up hours from civilization immersed in “Pura-Vida” nature, I find Jaco to be the prefect combination of both if you simply venture away from the downtown area. Jaco is the closest beach from the San Jose airport, being only one hour away via this new highway which cuts right through the mountains making it a direct path straight to Jaco. This makes it the perfect beach for short-term or weekend travelers. I have flown from Florida to Jaco many, many times for a quick weekend sanity trip. Airport to paradise… in an hour. I call it “Calle Feo,”or ugly road, but it does accomplish it’s mission and get you to the beach quickly. You can’t do that with other places such as Monetzuma, Puerto Viejo, Pavones, or Dominical because they are literally hours, sometimes days, from San Jose depending on road conditions. Although, personally, I prefer the old road; a two and half hour heart-stopping drive over the mountains, into the clouds, through beautiful villages, waterfalls and jungle. The views from the “old road” are incredible, and well worth the extra hour. You can stop for coffee in the village of Atenas, which is on top of the mountain looking down the valley at the Pacific Ocean. The occasional near death experience is totally worth it while sipping some Britt cafe with a majestic view, so take a leap of faith, you will not regret it… I hope. Either path you choose navigates its way past the Tarcoles bridge. Most airport drivers will happily stop off for a few minutes if you ask them, as opposed to wasting a whole day tour and about $60 bucks of your cash. 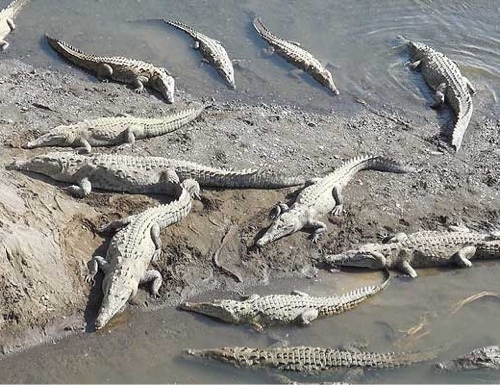 You can stop and check out some prehistoric looking crocodiles from atop of the high mountain bridge. Sometimes, local guides throw whole chickens off the bridge to entice the dinosaurs, it’s not legal, but the policia sitting on either end of the bridge don’t seem to care one bit. I’d like to think the 5-o are there to save an actual human if they perhaps “fell” into 500,000 BC. It’s a huge tourist trap, but totally free on your way to Jaco… and absolutely worth the stop for a few selfies with giant cocodrillo for your Facebook page. The restaurant pictured is next to the bridge. It has some of the best “patecones,” or fried plantains, I’ve ever had. Don’t miss out on a quick stop to try their food. The Marriott Los Suenos Resort, is near Jaco along the way. “We” the people of Jaco, like to call this “GRINGO-LANDIA.” In other words, the Marriot resort is for the tourists who care to stay in their “little bubble” surrounded by other tourists with American-style amenities. Upon arriving in the village of Jaco, your first impression may be that it is a crowded little chaotic city on the beach, because… it is. …But please don’t let that scare you away. Jaco has so much to offer, I promise. The people who want to talk you out of staying in Jaco, have most likely stayed in the center of town. It’s busy, loud, ugly and dirty at times, but Jaco holds so many little gems that I can’t even begin to detail ALL of the reasons I call Jaco my Costa Rican home. There are several grocery stores; “Mas por Menos” being as comfortable as my own local supermarket in Jersey. There are bars, clubs, restaurants and casinos, like… TONS of them for any budget or preference. You will never be without something to do in Jaco. To some, this busy downtown area is a huge turn off; many call it a “tourist trap,” but I urge you to find a place outside of “el centro” and you will experience the best of both worlds; nature AND convenience. You can buy a bike for about $100. new, even less used, then sell it back again when you are leaving for about the same price. Having a bike in Jaco, changes everything. I’ve discovered such an amazing freedom by obtaining an obnoxious pink beach cruiser in Jaco, please try it… although pink is optional, obnoxious is a must. Back in the jungle, up in the mountains attached directly to the town of Jaco are several dirt roads and villages which whisk you away into PURA VIDA within minutes. You will find incredible views, a mountain-top café, waterfalls and wildlife such as toucans, pizote, poison dart frogs, and monkeys. You could LITTERALLY spend days on end in the jungle attached to Jaco and never see the town itself. Jaco is so close to everything you would want to do in Costa Rica; it’s a perfect jumping off point with Manuel Antonio National Park and the city of Quepos being a beautiful drive south. Montezuma is a $30. interesting but beautiful fishing-boat ride across the bay and Arenal volcano is a few breathtaking hours north. Next to Jaco is a small village called Hermosa, known for world class surfing and a little further down the road is Esterillos; a sleepy oceanfront village with it’s own charm. You can literally unpack your stuff and go on multiple day trips or tours right from Jaco yet you are still close to civilization in case you need a doctor, or emergency botox… priorities darling. Once my 8 year old son was very sick after brushing his teeth with the water in Puerto Viejo on the Caribbean side of Costa Rica. He was dehydrated from the bacteria in his stomach and passed out while playing soccer on the beach; luckily we had traveled to Jaco the day before where the medical facilities are amazing. Water in most of Costa is safe to drink, but not potable in certain remote areas… the water in Jaco is perfectly safe and I feel comfortable knowing that Jaco offers a multitude of top-notch services; as a mother, that makes my heart sing. There are gyms; I usually spend $20 bucks and sign up for the entire month I’m visiting. There is free yoga at Side Street Bistro; also yoga retreats nestled into the jungle, zip-lines, ATV tours which take you DEEP into the jungle along a quiet beautiful river for lunch. Jaco now has movie theater with recent English speaking movies; they also have a real theater for ballet, arts and cultural events. While this may not appeal to the average tourist, staying extended amounts of time in the Costa Rican jungles can become boring. TRUST ME, a theater with air conditioning becomes a welcome indulgence, especially if you have kids on a rainy day. Jaco has hundreds of places to stay which cater to all types of travelers, from back-packers, yoga addicts and also the high-maintenance types who prefer air conditioned condos as opposed to the rustic cabina type accommodations. This town has something for everyone, even those who prefer to escape into nature. Please don’t listen to those who try and persuade you away from this gem of a town. The Catalina is a comfortable home-like oceanfront boutique hotel with a beautiful garden on the south end of Jaco. Warm New York friends, Sandra, Naomi and their pets Dino and Kitty, own my home away from home. The Catalina has a pool with a gorgeous view of the Pacific Ocean, and surf camp nearby. They opt for a peace and quiet zen-like atmosphere; there are no TV’s but they do offer wifi and kitchenettes with a private porch for each guest. A week at the Catalina is pure bliss, where you truly do find “Pura Vida.” Sunsets from their beachfront lounge-chairs go perfectly with a glass of wine and the sounds of the pounding waves. This is paradise… quiet, perfect, PARADISE. This is not a sponsored article, so these words come from my heart. The south point of Jaco is truly where you can find “Pura Vida.” Sure, go into town for an evening stroll… shop, eat, and dance… but you have the option to return to the peaceful nature of the south point within minutes so you can fall asleep to powerful crashing waves. The wide shallow beach at the south point is perfect for beginners learning to surf or even hours of boogie boarding as the sun sets… this is my happy place. The place where my mind goes when I am stressed and feel Pura Vida calling. There is a cool little local bar on the beachfront dirt path to watch sports and have a laid back, sunset beer. This sleepy section of Jaco is only a $2 taxi ride into town or a twenty minute walk on the beach, but I promise you, you are nestled into peace from the moment you leave downtown. Years ago, the south end was kind of desolate and far away from everything; now it seems to have turned into “the place to be.” It’s shockingly secluded and surrounded by scarlet macaws, toucans, and sometimes monkeys which come down from the mountain directly behind it. The south point is… that quiet paradise you are looking for, yet still close to things to do such as restaurants, shopping, wine tastings, yoga, the organic market and even essential oil classes. There is a jungle-hike road directly behind the south point, which winds its way through villages, over the mountain, towards Playa Hermosa. You will encounter tons of monkeys, or poison dart frogs… possibly a sloth or two. From the south point, you can even walk to a zip-line canopy tour on your own… without a tour which saves you TONS of money. 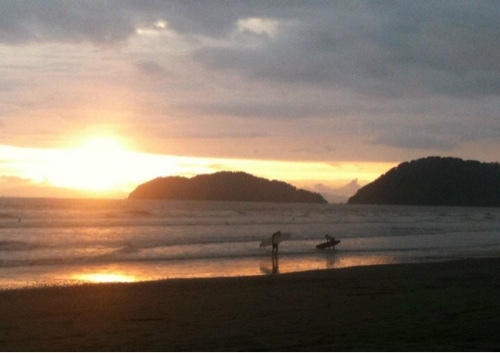 Playa Jaco held a huge championship in 2009, which brought people from all over the world to check out the Jaco surf. Like Hawaii, Jaco has become a destination not to be missed on the surfing circuit. Plus, surfers are easy on the eyes, which adds to the beautiful scenery of this mountainous cove… in my opinion. I really hope you enjoy Playa Jaco; my home away from home… Don’t believe all the hype and give it a try, you might fall in love like I did many years ago. Reblogged this on Nomadic Nirvana. 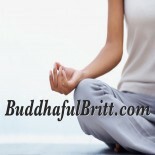 I really want to thank you for writing this blog. My daughter and I are volunteering and then spending a few days in Jaco….south end. I was tired of reading so many negative comments about Jaco. This was well written and appreciated! Were you in Jaco in summer or winter months? I have been going to Costa Rica since the early 90’s, I have lived there several times at different times of the year. Jaco is STILL my favorite beach… BY FAR! This entry was posted on July 6, 2015 by Britt in Buddhaful, Nomadic Nirvana and tagged backpackers, best beaches, Costa Rica, Costa Rica women, hot surfers, jaco, jaco beach, playa jaco, Puerto Viejo, solo travel, south point jaco, surf travel, surfing, things to do, travel blogger, travel stories, travel with kids, where to go Costa Rica, why I love Jaco.